I didn’t get to all of the peaches from last week on time and they were starting to veer off to the dark side. I decided to try them out in some muffins. They worked perfectly. The muffins are super moist and sweet and make for a great dessert or sweet pick-me-up in the middle of the day. And they have fruit in them so they are super healthy, right? The original recipe called for sour cream, but I didn’t have any. So, I used kefir instead and added some baking soda. One of the substitutes for sour cream that I found was yogurt and baking soda so I figured using kefir instead of yogurt was kind of the same thing. I also added in some vanilla extract because I thought the muffins would benefit from that. They did. Preheat oven to 350 degrees F. Line a 12-cup muffin tin with muffin cups (or grease the muffin tins). Melt butter in microwave. Whisk the egg in the bowl of a stand mixer and add sugar. Whisk until thick and thoroughly mixed. 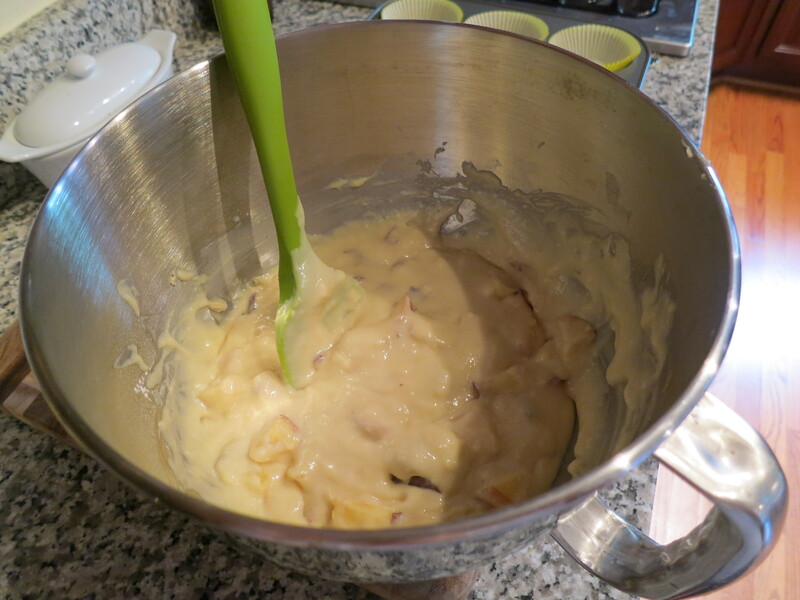 Continue to whisk, adding the milk, melted butter, vanilla extract, yogurt and baking soda. Add in the flour mixture and stir until well-combined. 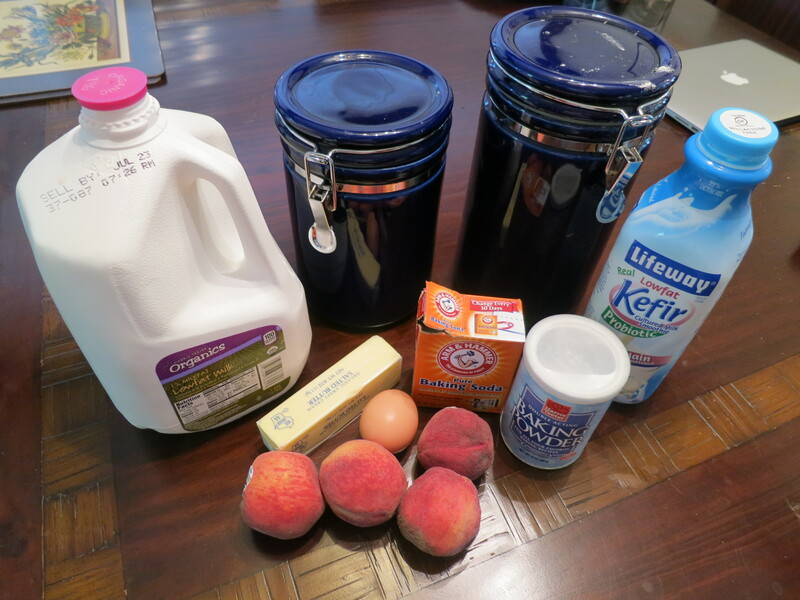 Add the chopped peaches and stir with a spoon or ladle until just combined. 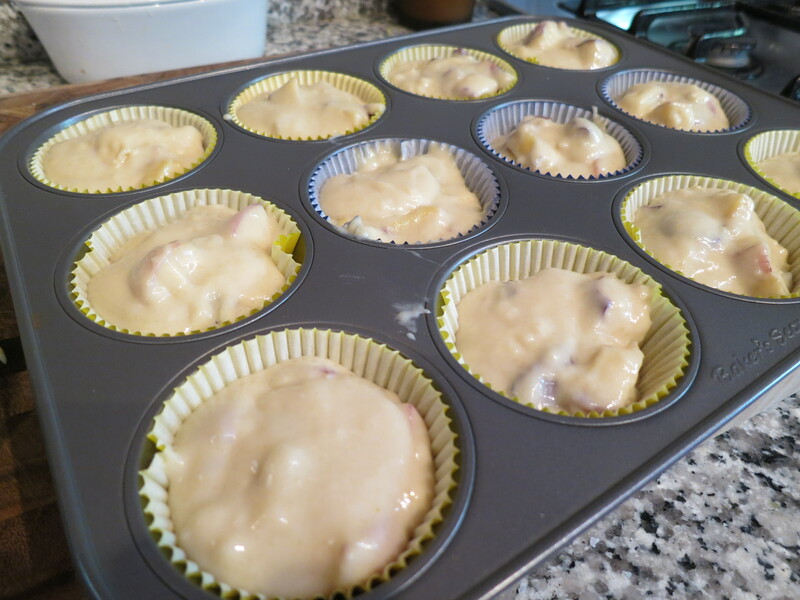 Drop tablespoons of the batter into the muffin tins. 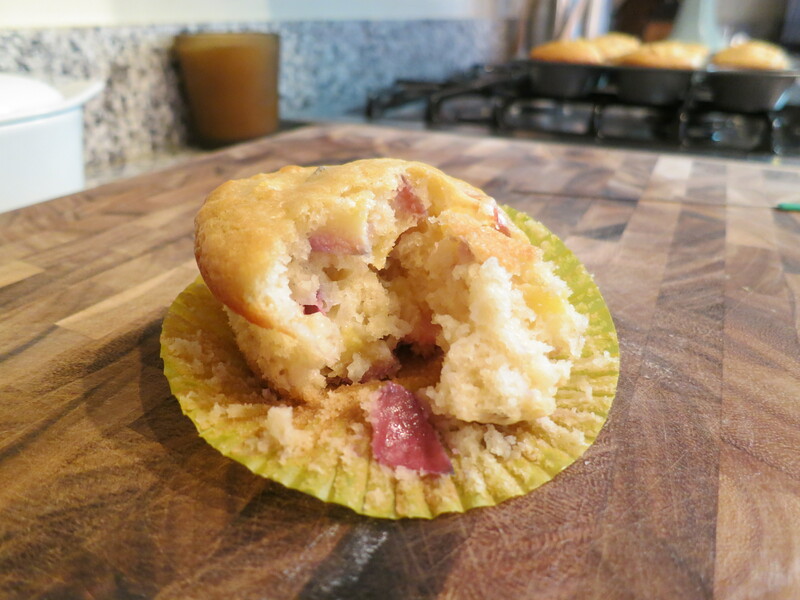 Bake for 35 minutes or until a toothpick inserted into a muffin comes out clean. 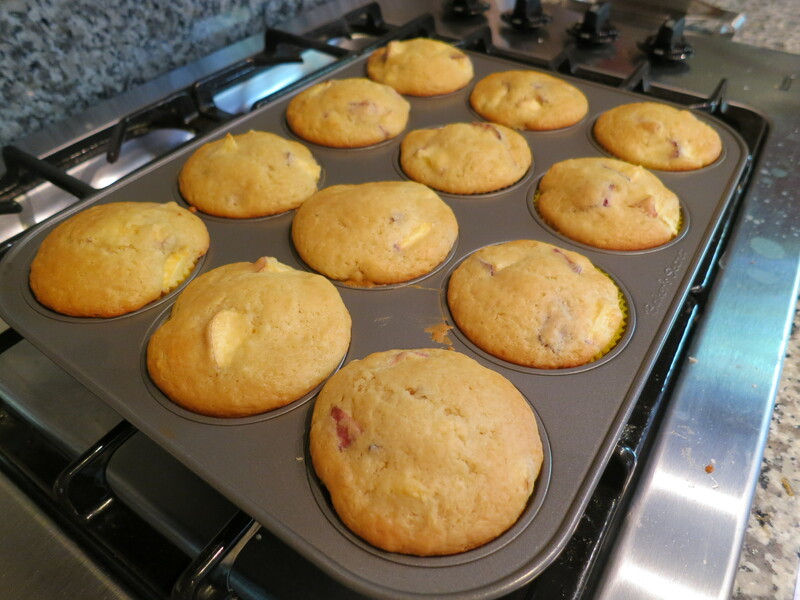 Cool muffins in tins for 10 minutes, then turn them out onto a wire rack to finish cooling.